Memorial Day in the United States is just a week away and that can only mean one thing. That’s right, it’s grilling season! 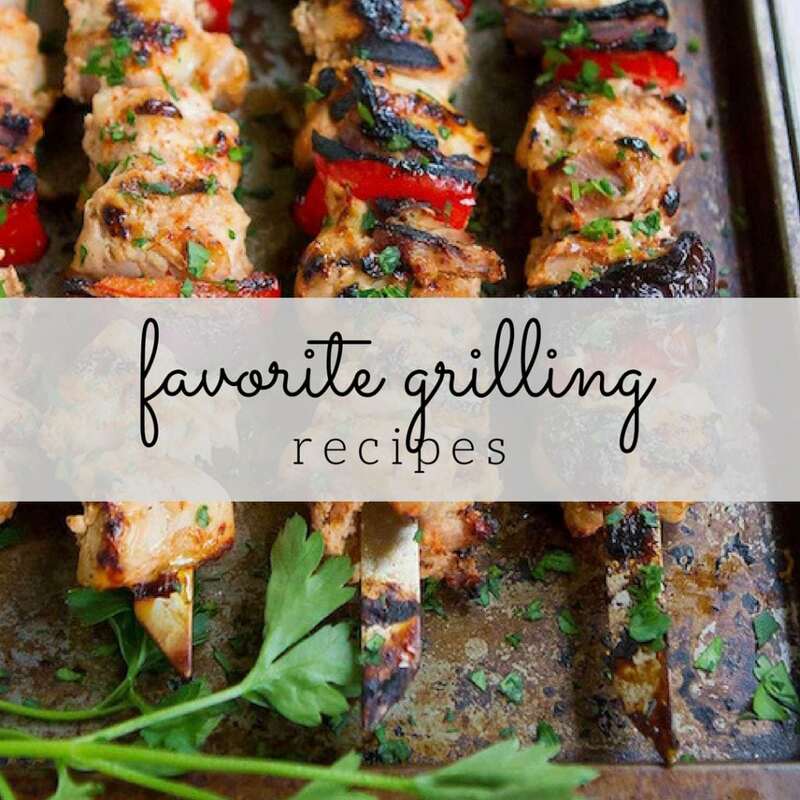 When I say “grilling”, I mean everything that comes along with it – backyard parties, kids running through the sprinklers, cocktails on the patio and long, warm summer evenings. That’s where this fresh take on a classic Tom Collins cocktail recipe comes into play. To kick off the season, I’m pairing up with OXO, the fantastic company behind of at least half of the tools in my kitchen. Not only do I use their tools for everyday cooking and Portion Control for Weight Loss & Healthy Living, but I also re-designed my pantry for How to: Organize Your Pantry. Well, it turns out that they have some equally awesome (read: functional, spiffy-looking and easy to use) cocktail tools. 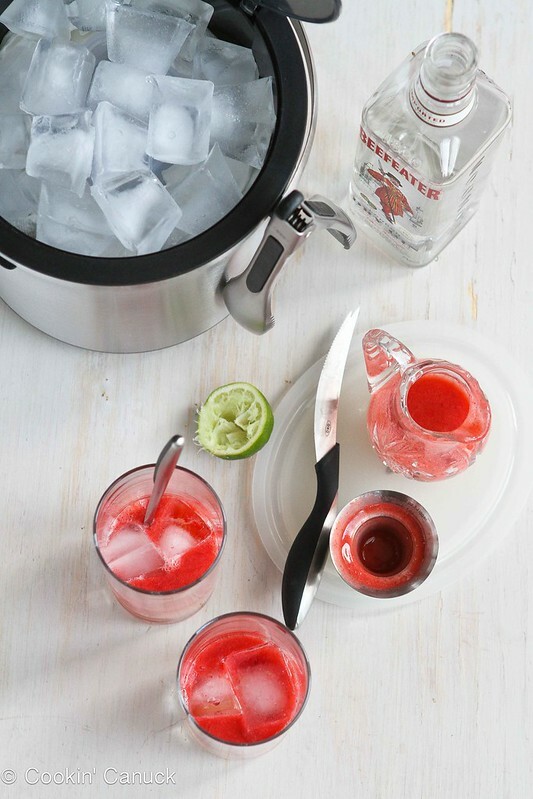 What better way to start off the backyard party season than with a cooling cocktail that highlights fresh fruit? A classic Tom Collins cocktail is a simple concoction of gin, simply syrup, lemon and club soda. Classic and perfect in every way. However, this Tom Collins maker happened to have a heck of a lot of fresh strawberries sitting in her fridge. 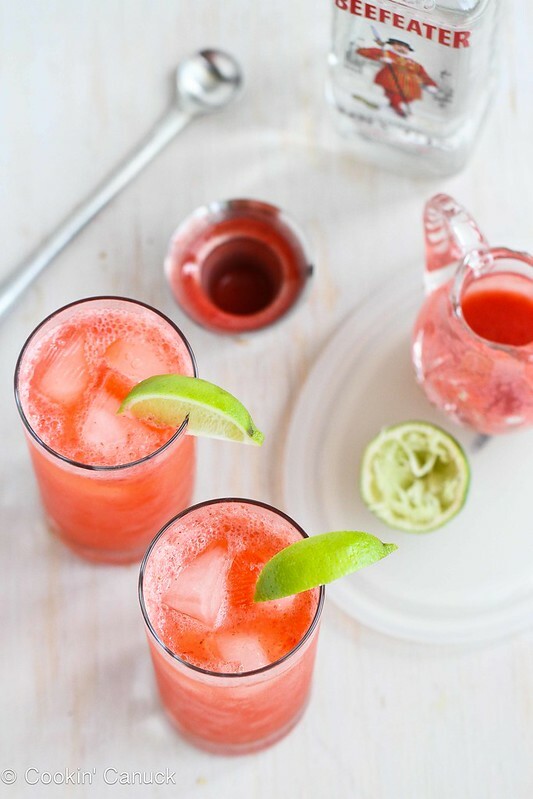 So, the classic cocktail got a little summertime makeover with a splash of an easy strawberry puree, slightly sweetened with agave nectar, and a squeeze of lime juice. This cocktail is not overly sweet, nor is it overly berry-ish. 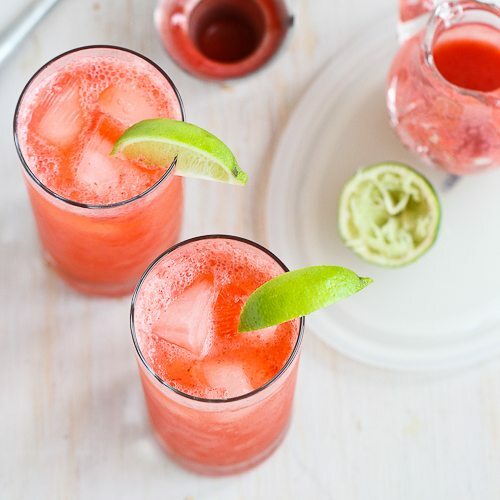 If you’re hoping for a full-on hit of strawberry, reminiscent of a strawberry margarita, well…then I suggest making a margarita. But if you want something that’s subtly flavored, cold and perfectly refreshing, then this is your drink. 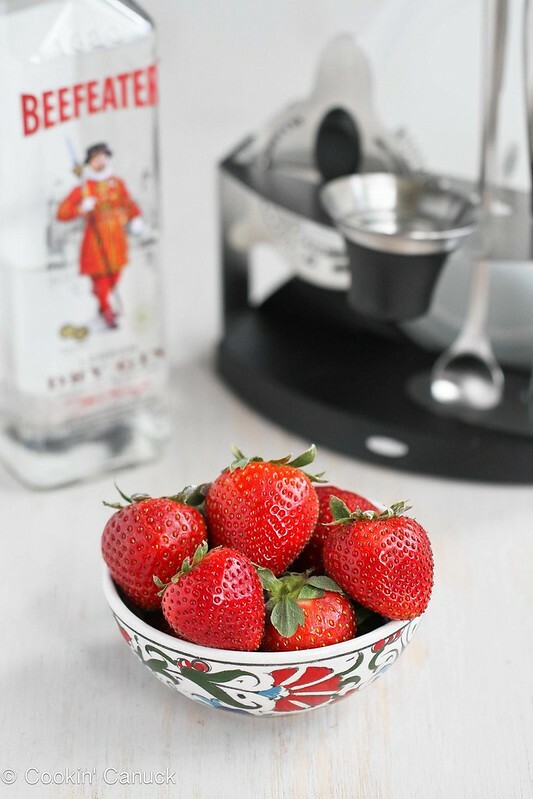 Place the strawberries and agave nectar in a blender, and puree until smooth. 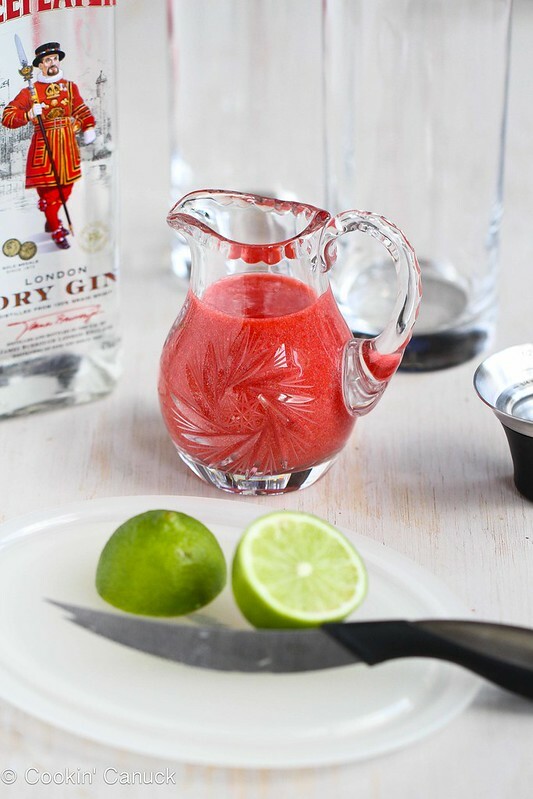 Divide the gin, lime juice and strawberry puree between the two glasses. Stir with a long spoon. Fill the glasses to the top with club soda. 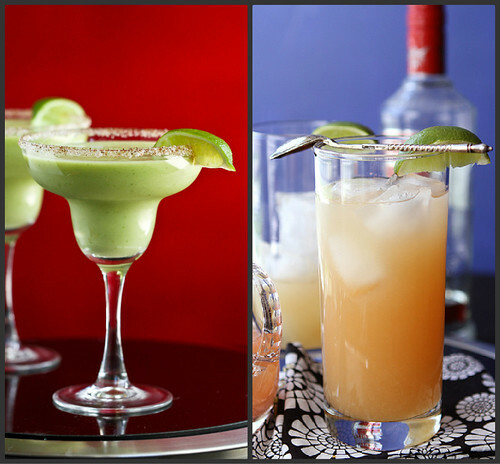 Stir again and garnish with lime wedges. Serve. To stay updated on OXO’s newest tools and designs, follow them on Twitter and Facebook. Disclosure: The OXO tools pictured were provided to me free of charge. In addition, I was compensated for this post. All opinions are mine. What can I say? I love OXO products! Also, this post includes Amazon affiliate links. If you purchase the items shown from the links in this post, a small percentage of the sale will go to supporting Cookin’ Canuck. What the what?! Can I have this gorgeous cocktail on a Monday morning??!! This is my ideal summer cocktail!! I love tom collins and this is such a fresh spin on it. Wow! These look so delicious! I love the fresh fruit. And gin is the best in the summertime. Thank you, Dara. Have a wonderful week! Dara, this is absolutely fabulous!! what a yummy and gorgeous cocktail. I’ll take five!! I have really enjoyed your blog. You have some wonderful recipes. 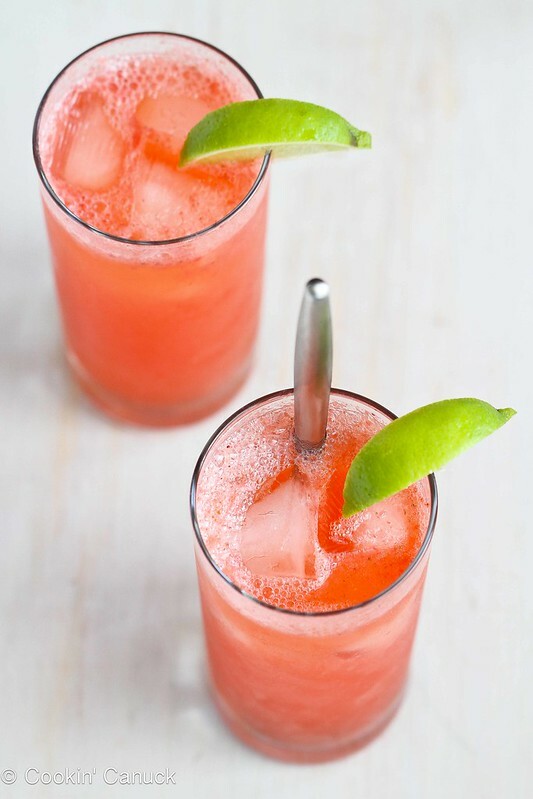 This drink recipe looks delicious and I will be doing it for my trip on the west coast. My sister and I are hosting a BBQ Block Party-Linky Party, recipe’s like this one would be fantastic and we would love for you to join us on Thursday, May 23. This looks great and perfect for summertime! How refreshing, love the strawberries & lime combo! Let’s be friends. 🙂 This looks amazing – and totally up my alley. The second I read “Tom Collins” my mouth instantly watered. I would drink Collins Mixer as a kid like soda! This sounds like my new favorite drink!! Those pictures should be in a magazine… seriously stunning! 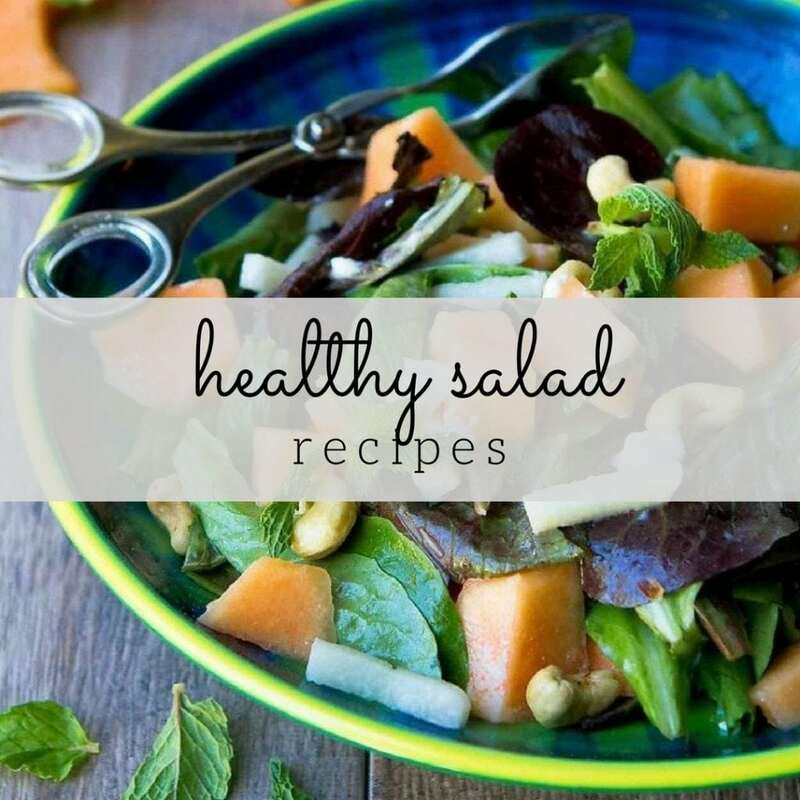 Great recipe and love how you are so dedicated to being healthy. 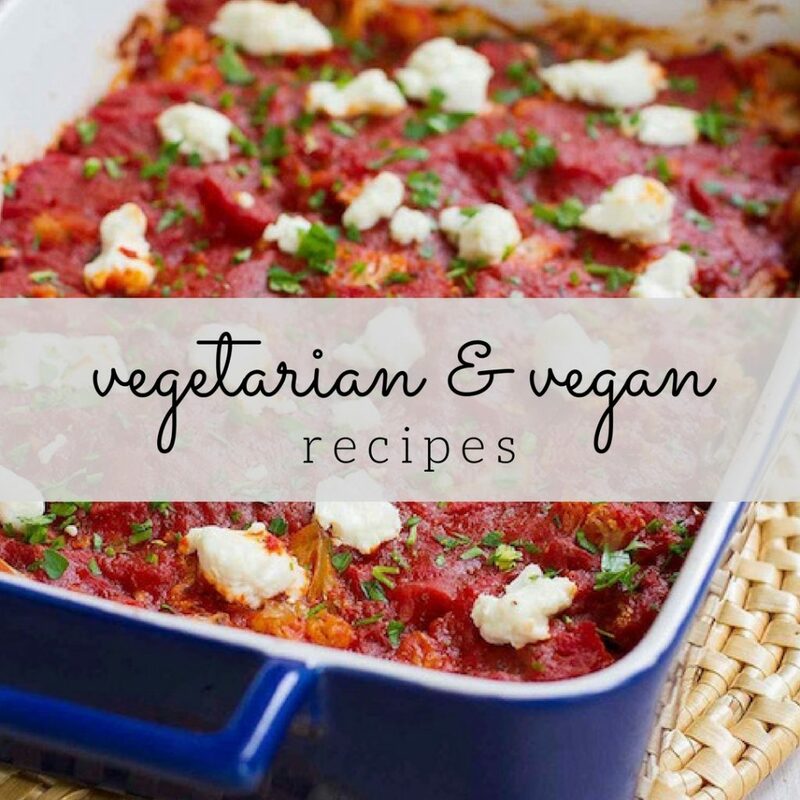 I am just starting to try it and your blog has been a GO-TO for me… for beautiful and delicious recipes and wonderful writing and photography. I feel so lucky to have met you so many years ago and love seeing how you are making the world a better place! Beautiful! Thanks for the fresh, new idea for summer. I can tell we are kindred spirits. This looks like heaven. We just built a new deck on our house – C’mon over and let’s lounge on the deck whilst we have some fancy pretty drinks like these! Your cocktail is very refreshing. It is a new idea for the hot summer. Must try the summer treat!!! So it’s still a couple of days until Friday and Memorial Day weekend but I desperately need a glass of this, stat! Oh, so delicious 🙂 I am loving strawberry drinks lately! I just made one and it’s DELICIOUS!! I skipped the club soda which gave it a more concentrated flavor… SO. GOOD. I’m so glad to hear that, Faith! I love this! So summery!